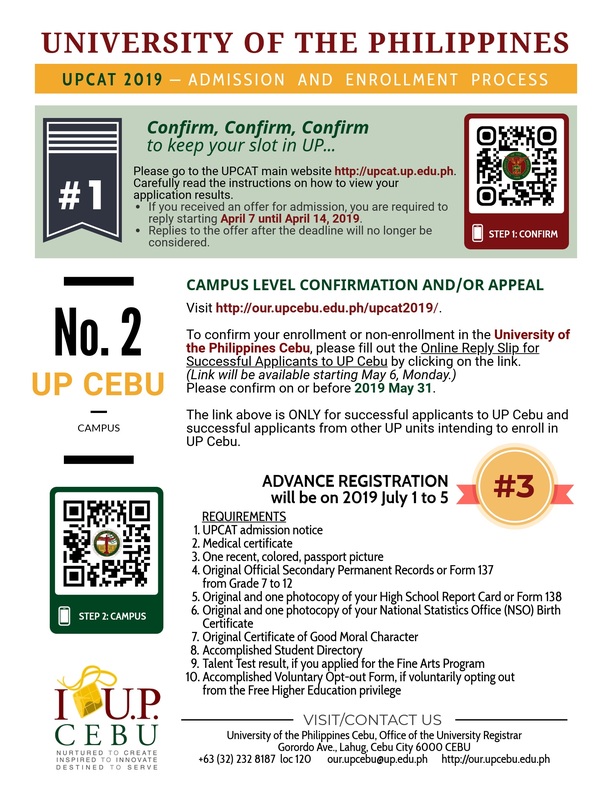 Home | Event | UPCAT 2019 NEWS! Please go to the UPCAT main website http://upcat.up.edu.ph and carefully read the instructions on how to view your application results. If you received an offer for admission, you are required to reply starting 07 April 2019 (Sunday) to 14 April 2019 (Sunday). Replies to the offer after deadline WILL NO LONGER be considered.